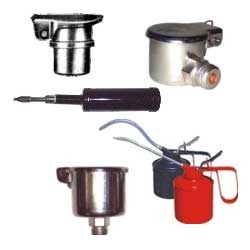 We are engaged in offering a high quality range of Drop Feed Oil Lubricators to the esteemed customers. These single point lubricators are directly mounted on the lubrication point and dispense oil. 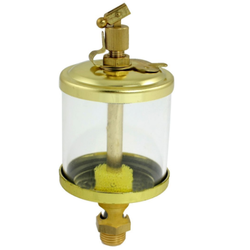 The oil is dispensed by gravity from the transparent reservoir through needle valve, which is joined with toggle pin. We are offering to our esteemed clients a wide range of oil cans/cups/guns. Manufactured using superior quality raw material, procured from certified vendors, this range is at par with the latest industrial trends and norms. Designed utilizing sophisticated machinery and latest tools, this range scares high in terms of performance, precision in functioning, robust construction and unique designs. Looking for Oil Cups & Oil Guns ?